Time to catch a few rays on the roof of the Corner Garage. 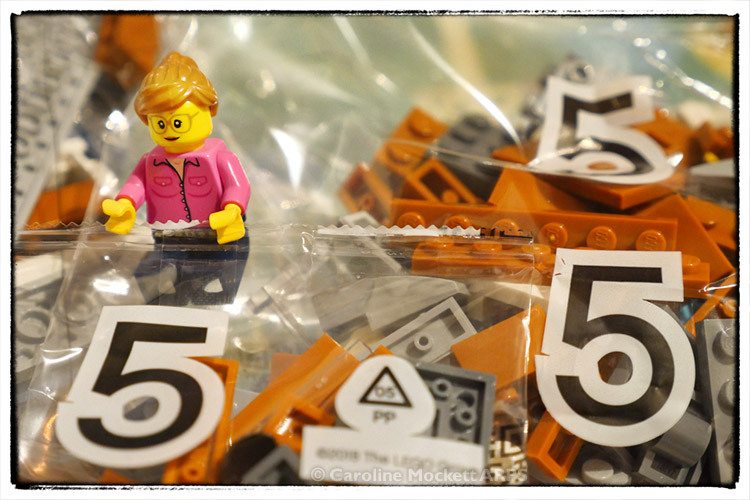 Day #47 – Break Open Bag Five! Before you can build anything, you have to open the bags! Mmmmmm. I love the smell of fresh bricks. Can you guess what we’re building? Little Caz visited the London AFOLs meetup for the first time today. (Big Caz has been going for more than a year to their monthly meetups). It was Modular Building Night, and the group put together the 2018 Diner and new 2019 Corner Garage. 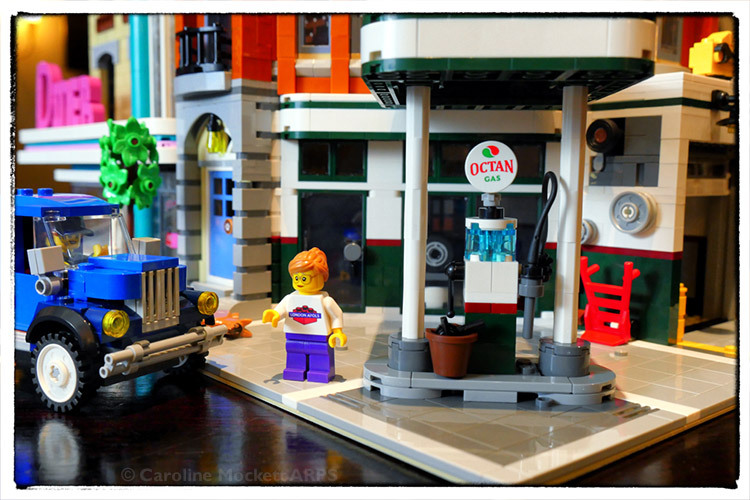 Little Caz was very interested to have a look at the garage to see if it can fit into Blockville in any way. 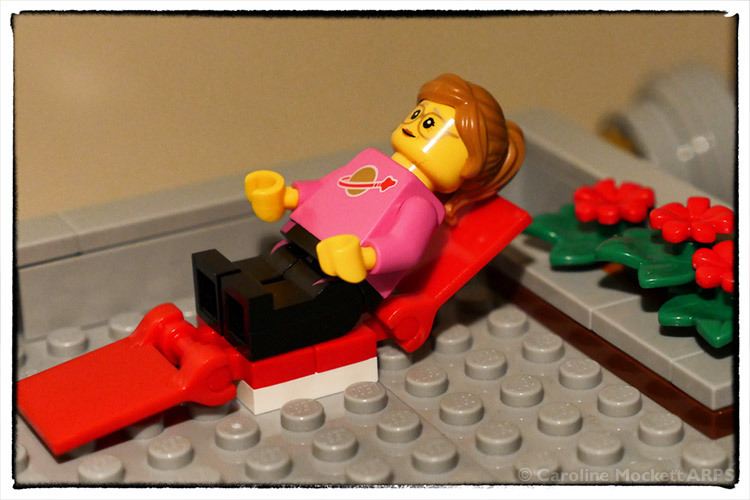 She will report back to the planners soon!